“We are writing today to inform you that after many years of supporting DC Universe Online (DCUO) on PlayStation 3, we will officially shut down PlayStation 3 support on January 31st, 2018. In order to deliver the highest quality experience to our players, we will focus our resources on further optimizing the game for PlayStation 4. While there is still time to continue exploring DCUO on the PS3, we want to give you advanced notice so you can prepare for these future changes. 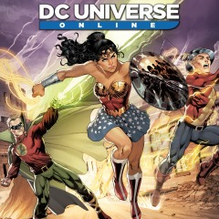 DC Universe Online remains available on Steam, Xbox One, and PlayStation 4. The PlayStation 3 version also remains available, albeit unplayable, on physical media as well. “DC Universe™ Online is Free-to-Play! Join thousands of other players in a massive online action game set in the popular DC Comics universe. Create and customize your own powerful Hero or Villain and experience true action combat as you fight alongside and against legendary characters such as Batman, Superman, The Joker and Lex Luthor. Become a part of our thriving community at DCUniverseOnline.com! Please note the download could take several hours, but it’s worth the wait!